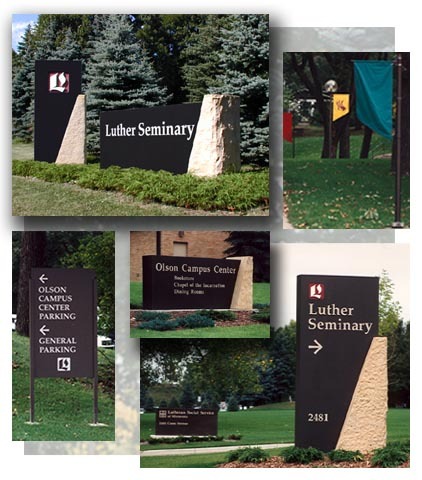 Design, scheduling, and oversight of exterior and interior signs and graphics. • Supervision of the casting of concrete detailing to similate rough-hewn limestone. The comprehensive design allows for celebratory, seasonal and event banners. Partnering with Apple Designs, Inc.